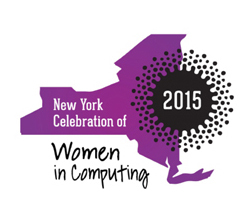 The third New York Celebration of Women in Computing Conference (NYC-WiC) is taking place in Syracuse this year, and School of Information Studies (iSchool) students, staff members, groups and alumnae are part of its planning and presentations. The conference, scheduled Friday, April 17, and Saturday, April 18, is the regional event modeled after the international Grace Hopper Celebration of Women in Computing Conference. It is designed to promote the academic, social and professional growth of participants, bringing together students, faculty and technology leaders. They share research, learn about computing opportunities, network with other women in academia and industry, and explore issues common to women in computing. Five iSchool students from the It Girls Alumnae Executive Board will make a poster presentation and host a panel discussion during the conference, and iSchool alumna Jessica Santana G’13, co-founder of Brooklyn on Tech and an entrepreneur-in-residence for General Assembly, is a conference presenter. Presenting during the poster session (from 4-6 p.m. on Friday, April 17), are undergraduates Elizabeth Griffin; Chelsea Hawkins; Christie Jasmin, Rosaly Salcedo and Megan Swanson. They also will participate in a panel discussion on Saturday from 10-11 a.m. Both activities are designed to share their efforts to build community among women who have attended the iSchool’s It Girls Overnight Retreat program, a weekend of exploration activities regarding IT careers and the iSchool and Syracuse University experience. The students will discuss how they developed the idea for the It Girls Alumnae student group, and will share the successes, challenges and lessons learned during their community-building initiative. The iSchool’s WIT-Grad and WIT-U organizations have sponsored registration fees so that several of their members can attend. The iSchool also will host a table at a career fair during the conference. iSchool staff members Julie Walas Huynh, director of academic advising and student engagement; Sarah Weber, director of employer relations; Stephanie Worden, recruiting specialist; Sheila Clifford-Bova, faculty support manager; and several other iSchool staff members have been involved in the event planning. Two keynote speakers are planned: Krista Claude, software engineer and business owner; and Florence Huban Suraci, Cisco Regional Sales Manager, U.S. Commercial East Data Center. Claude recently retired from a successful corporate career spanning more than 25 years. From a start as a software engineer, she progressed to hold chief technology officer (CTO) roles in medium and large businesses. She recently founded the coaching consultancy go forward LLC and is a member of the board of trustees of the Anita Borg Institute. Her presentation, “Thriving in Your Career, Truths and Tips,” will convey insights about creating a sustainable, successful and personally fulfilling career journey. 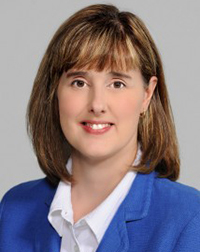 Suraci is regional sales manager for Data Center & Cloud Architecture for Cisco Commercial East Area, where she leads a highly profitable and successful sales team responsible for customers and partners from Maine to Virginia. Her talk, “How to Succeed in Business,” will focus on what she calls the “Suraci Seven Simple Steps” to success, and the definition of success. 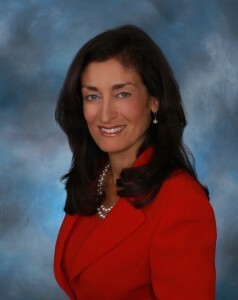 Suraci began her career at IBM Corp. as a systems engineer, continuing on to Silicon Graphics, then joined Cisco in 1999. She has served on diversity panels and has been on a number of corporate and academic boards and programs in the Albany area. Event registration is open and can be accomplished online. The event schedule and program details are here, and more details about the conference are here.